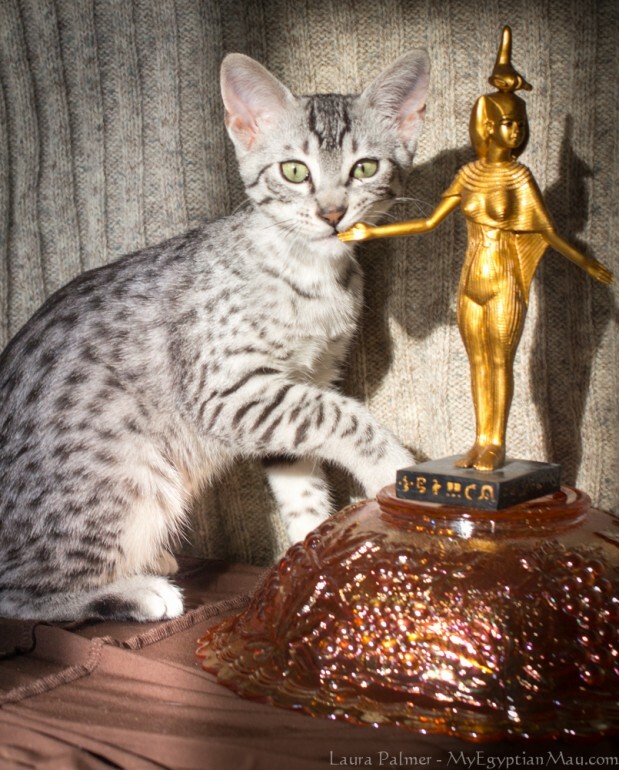 Yeah, so Solstice saw this statue of Isis and was like, I better go rub my face on that and claim it as mine. In the next shot, he was chewing on her. Good thing Egyptian gods love Egyptian cats!